Various Oregon Environmental groups announced this month that they are pulling out of the state talks on wolf management. The groups claim that the process is leaning towards making killing wolves easier. The groups collectively say that they plan to oppose the plan. 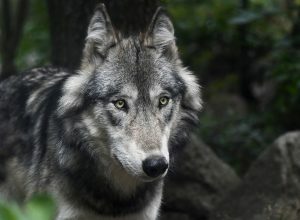 “The environmental groups Oregon Wild, Defenders of Wildlife, Cascadia Wildlands and the Center for Biological Diversity said in a Jan. 4 letter to Brown that the fish and wildlife agency has rejected their suggestions for managing wolf-livestock conflict as too expensive or two difficult. A key sticking point for the conservation groups is a plan provision that would allow the state or deputized private citizens — likely ranchers affected by livestock attacks — to kill culprit wolves after two documented attacks on livestock herds by the same wolf pack, said Nick Cady, legal director for Cascadia Wildlands. The groups are particularly unnerved by a provision that would allow the deputized citizens to keep wolf pelts, said Cady, who called the idea a “trophy hunt.” “With a population of wolves that’s 120 animals statewide, that’s a ridiculous, ridiculous proposal,” he said in an interview.